The biggest university party with partnership of ElonLetMeWorkForYou campaign.tailored to the needs of the best universities in in the Czech Republic on the very roof of Wenceslav Square Prague – Duplex.. 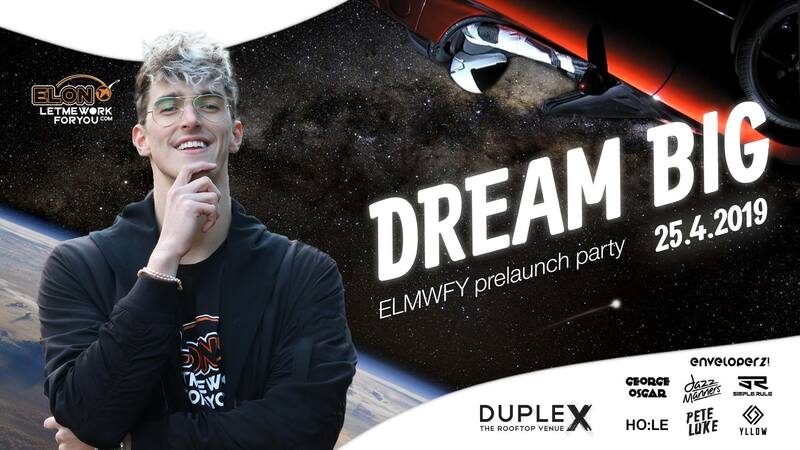 The biggest university party in partnership with ElonLetMeWorkForYou campaign in the most exclusive bar in Prague – Duplex, for the first time! 7DJs, more than 500 people from the best universities in Czech republic, networking with young inspirational guests and much more.